Randall A. Shackleton, born December 15, 1960, in Oxford, NE to Bill and Wanda Shackleton, passed away Monday, November 12, 2018. Funeral services will be 10:30 AM Friday, November 16, 2018 at Grand Island Evangelical Free Church 2609 S Blaine St, Grand Island, NE 68801, with Pastor Mike Wooten officiating. 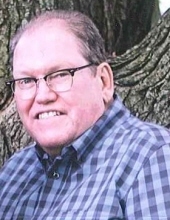 Visitation will be 4:30 – 7:00 PM Thursday, November 15, 2018 at Livingston-Sondermann Funeral Home in Grand Island. He grew up in Lexington and dedicated his life to Christ in 1967. He married his soulmate Marjorie Larson on October 17, 1981, in Aurora, NE. They were blessed with children: Cole Shackleton, Danielle Young, and Brooke Schumm. He was grandfather to seven grandchildren, and godparent to four. “Life is a song; love is the music,” and he certainly graced us with all his love which will live on forever in the music he shared with us. Randy started playing piano at Parkview Baptist Church in 1970 and served many other churches throughout his life where he played for numerous weddings, funerals, and church services through the years. Randy taught Instrumental and Vocal Music from 1985 until he retired in the fall of 2014. Throughout his life he was a member of numerous music organizations both in the state of Nebraska and nationally. He is survived by wife, Marjorie Shackleton, of Grand Island; son and wife, Cole and Brittany Shackleton, of Lincoln, grandchildren, Liam and Henry; daughter and husband, Danielle and Aaron Young, of Lincoln, grandchildren, Caleb and Bethany; daughter, Brooke Schumm, of Greeley, and grandchildren, Nevaeh, Jesse, and Isabella; mother, Wanda Shackleton of Grand Island; mother and father-in-law, Sherilyn and Ken Treptow of Aurora; brother, Wayne Shackleton (Jennifer) of West Palm Beach, FL; brother-in-law, Doug Larson (Jane) of Kansas City, MO; sister-in-law, Rhonda Harrelson (Greg) of Kansas City, KS; nieces and nephews, Ashley Ragno (Anthony) of Accra, Ghana; Kimberly Kuhl (Brian) of Lincoln, William Shackleton of Pueblo, CO; and Will Larson of Kansas City, MO; a great niece and five great nephews, and many other family and friends. He is preceded in death by his father William Shackleton, father-in-law, E. Warren Larson, unborn grandchild, and his maternal and paternal grandparents. To send flowers or a remembrance gift to the family of Randy A. Shackleton, please visit our Tribute Store. "Email Address" would like to share the life celebration of Randy A. Shackleton. Click on the "link" to go to share a favorite memory or leave a condolence message for the family.